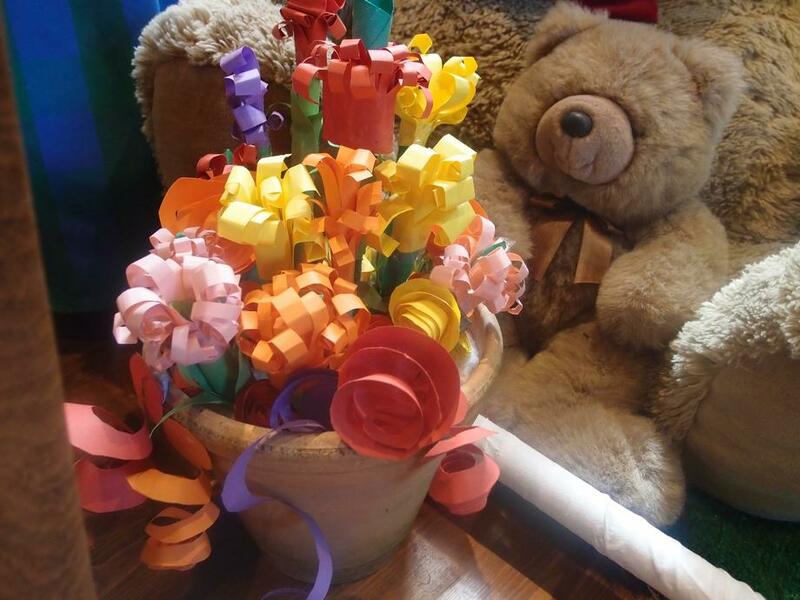 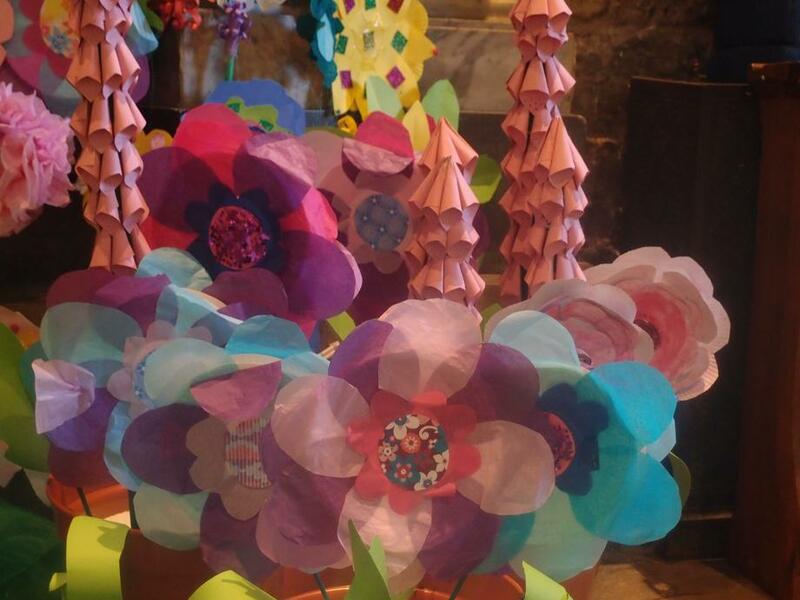 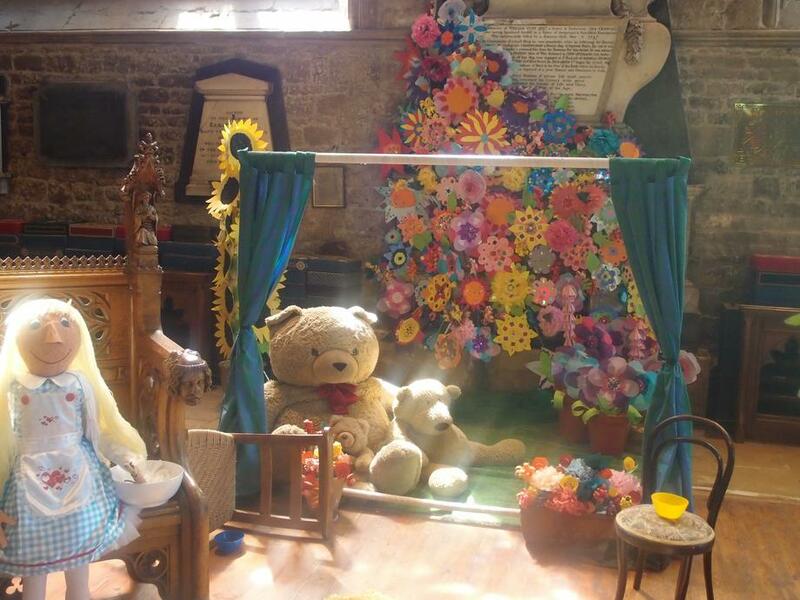 We took part in St Wulfram's recent FLOWER FESTIVAL to celebrate the 100th birthday anniversary of children's author ROALD DAHL -Our display told the story of GOLDILOCKS and the THREE BEARS........the children from both our schools, Harrowby Infant AND The National School, really enjoyed making the flowers for the garden - Can you see the Bears looking into their house from the garden and seeing Goldilocks eating Daddy Bear's Porridge! 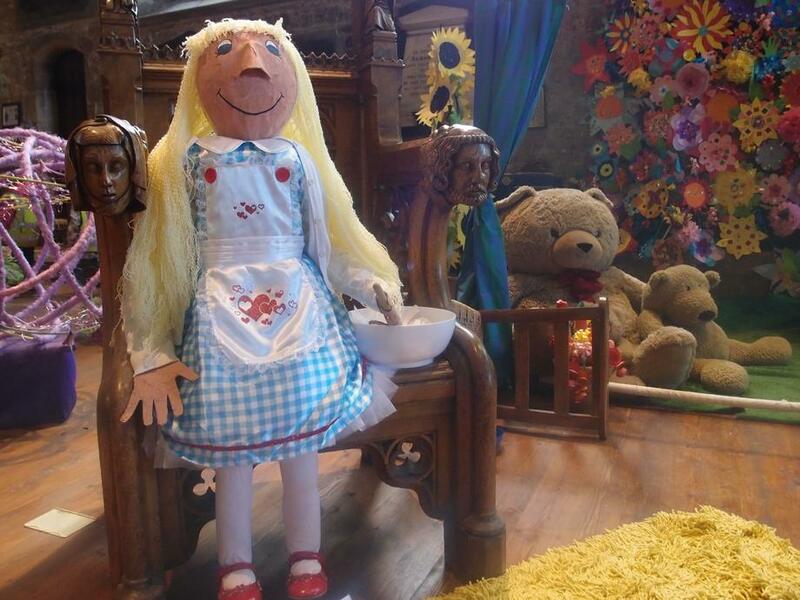 It was such fun! 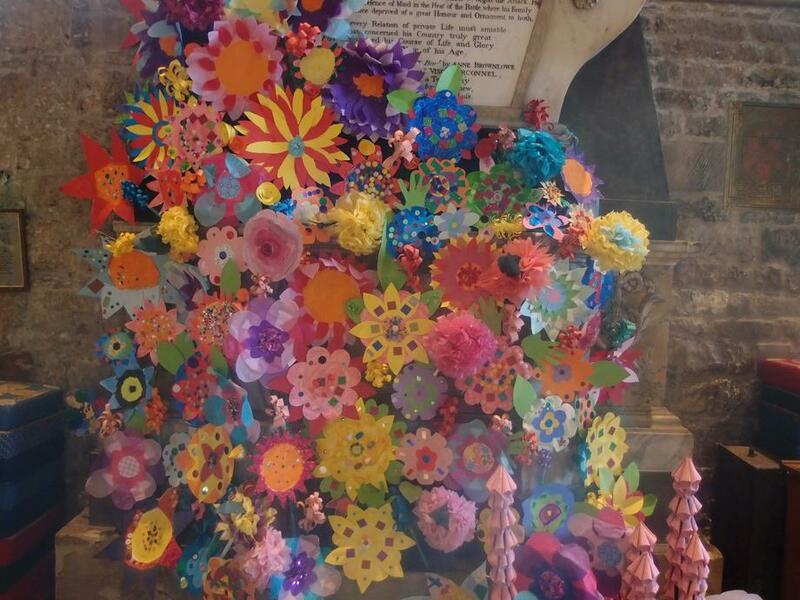 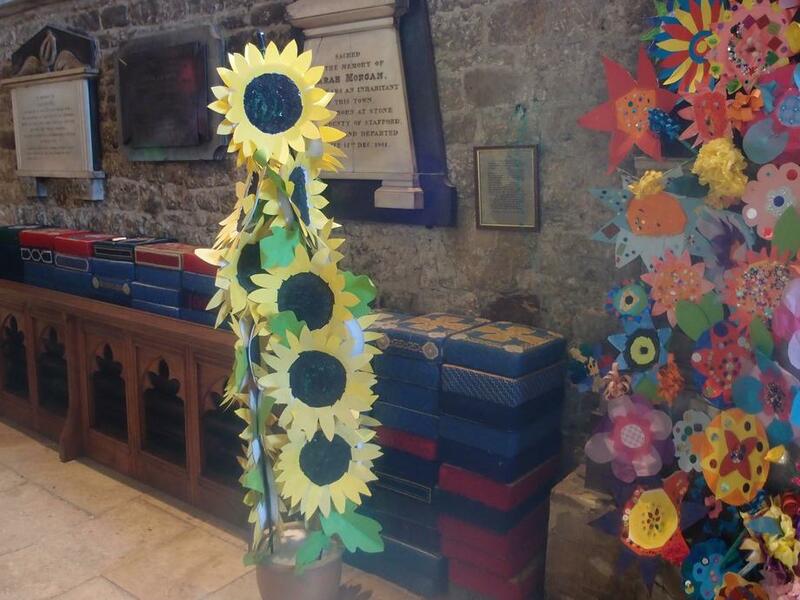 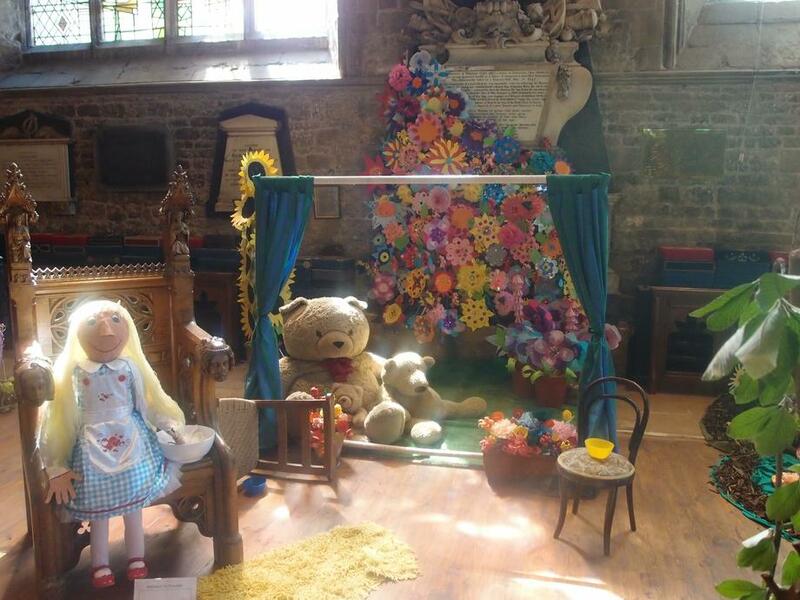 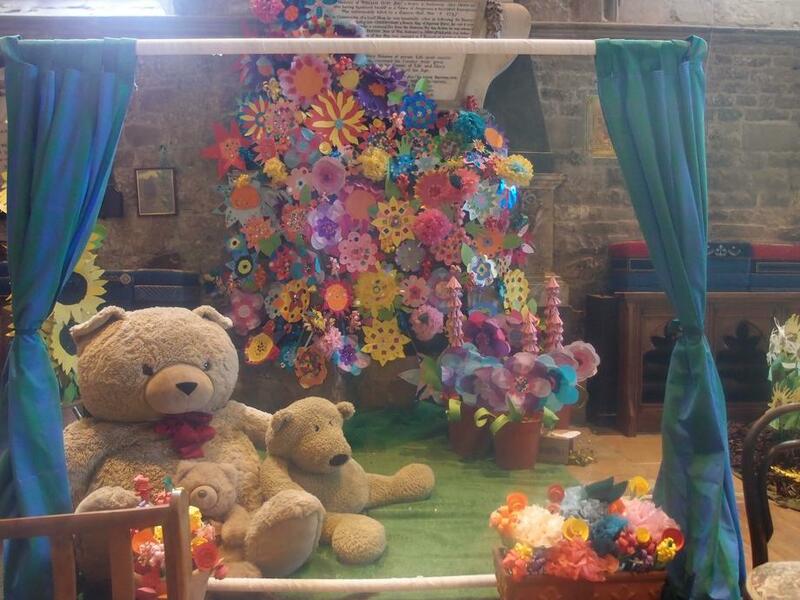 St Wulfram's Church looked amazing with fabulous displays -we enjoyed taking part.